Virginia is a mid-Atlantic, coastal state. Chesapeake Bay separates mainland Virginia and its territory on the southern tip of Assateague Island, a barrier island in the Atlantic. Virginia is known for its variety of beaches and warm, swimmable waters. 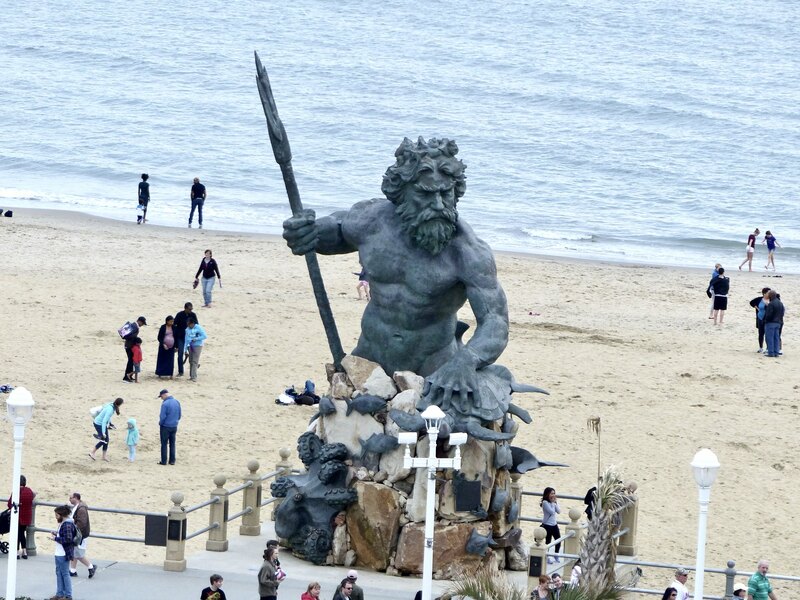 Virginia Beach is perhaps the most famous in the state. It is located in the Atlantic Ocean at the mouth of Chesapeake Bay. The water here is warm enough to swim in during the summer months, and many visitors are attracted to its long, sandy coast. Lifeguards can also be found at this beach during the peak season. Further north, you’ll find Hampton, a resort town offering a quiet beach with soft sand and clear, warm water. Virginia’s eastern shore is a quieter getaway. Waters facing Chesapeake Bay are calm and inviting. On the Atlantic side, you’ll find the sister islands of Chincoteague and Assateague. Both are known for their spectacular wildlife viewing and pristine beaches. Wild ponies and a spectacular island dune ecosystem can be found on both islands. A huge number of migrating and resident marine wildlife and sea and shorebirds are also found here. Being respectful of conservation principles is therefore very important. With all of its coastline, don’t forget about Virginia’s inland lakes. You’ll find warm water lakes and plenty of water activities including kayaking, boating and fishing here.